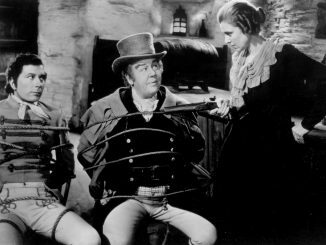 It’s the most wonderful time of the year for feel-good, family-friendly, holiday movies that never fail to make you warm and fuzzy inside. 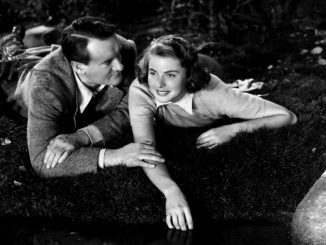 For many of these films, it’s almost as though we’re born with them already a part of our very being. 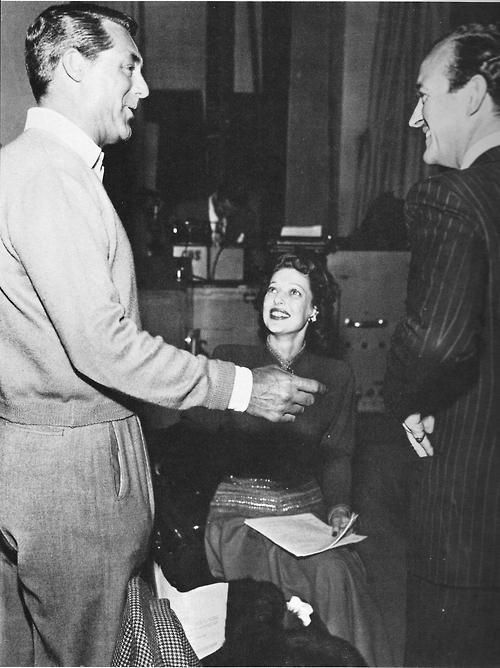 They’re like family. 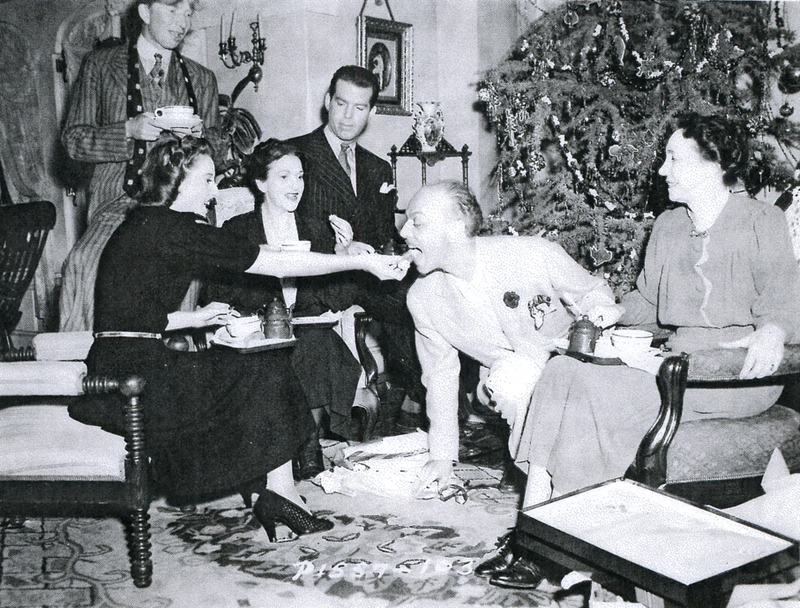 Or, at least, that entertaining slighly tipsy Aunt who never fails to shake up the holiday dinner table. 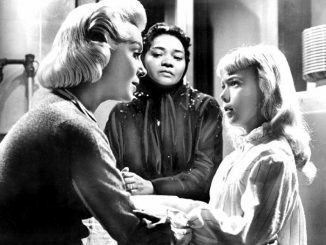 We know them front-to-back, back-to-front, and in some cases, we wish, deep down, that their stories were OUR stories. Well. 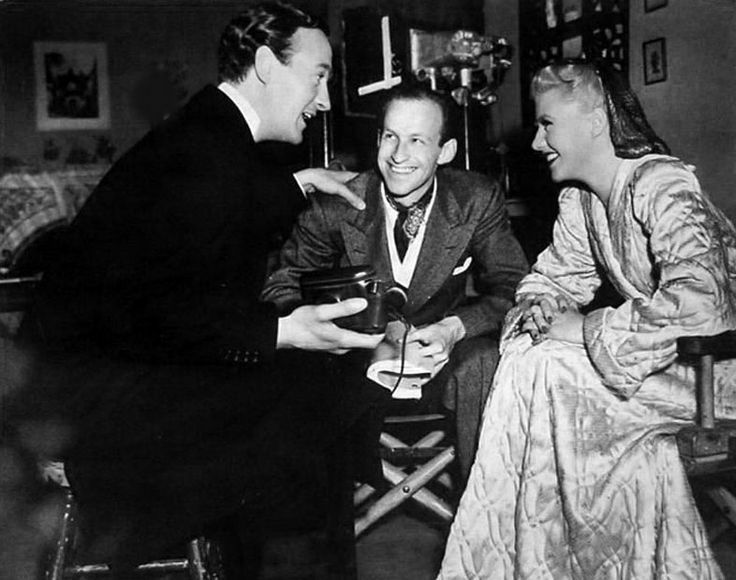 They are our stories, thanks to the collaborative art of film, which by its very nature is a community effort. 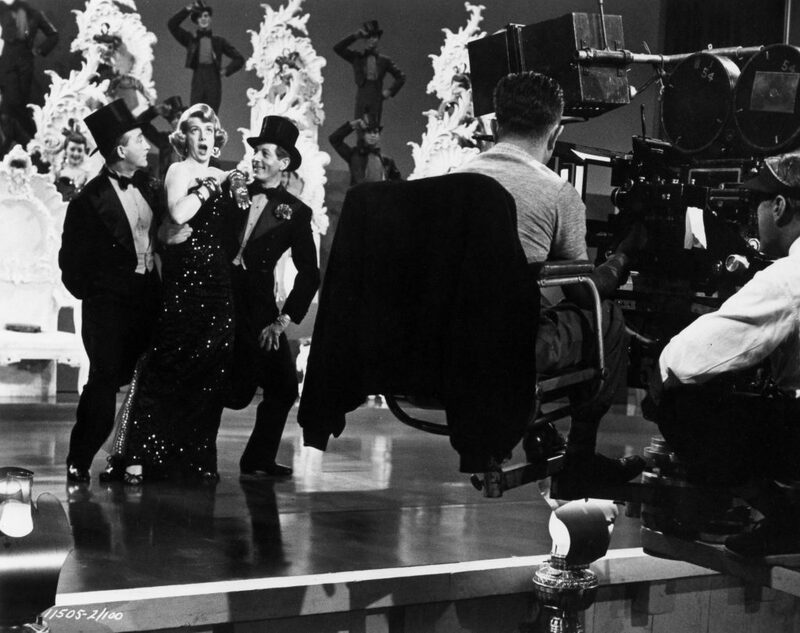 Let’s take a stroll down memory lane with a gallery of rare, behind-the-scenes stills of some of the most timeless Christmas classics. 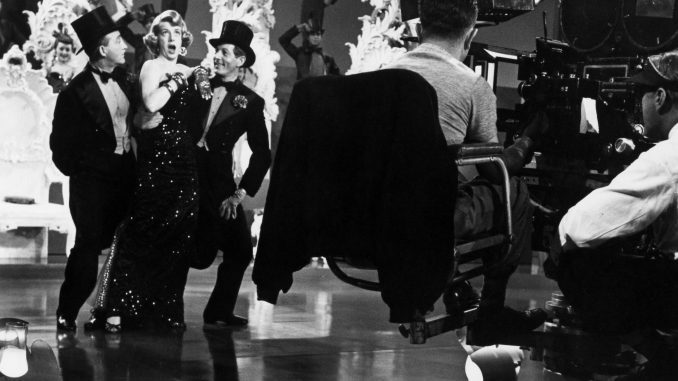 Watch the magic unfold before your eyes. 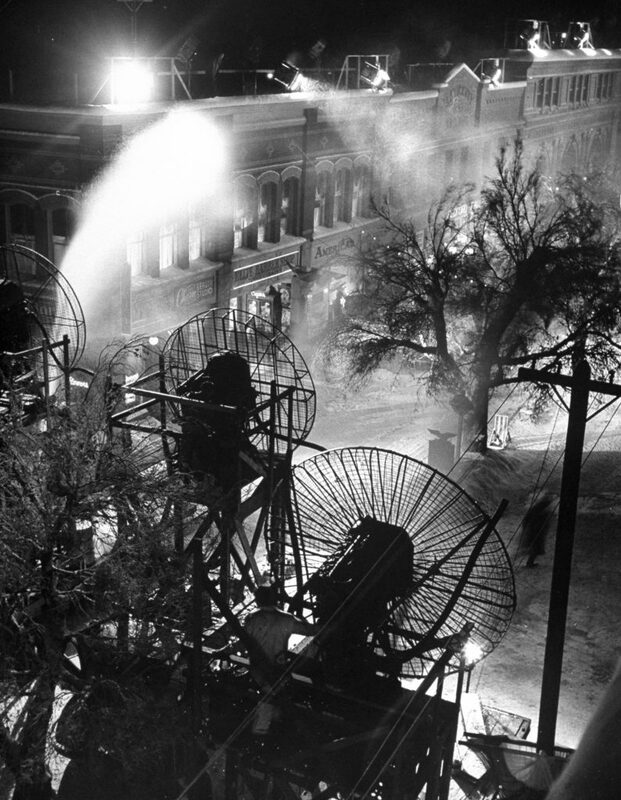 Frank Capra’s fictional town of Bedford Falls from IT’S A WONDERFUL LIFE (1946) gets a blanket of snow from a foamite/soap machine. 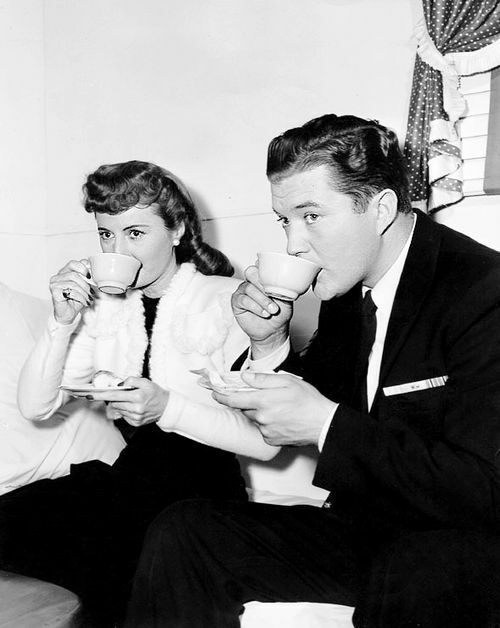 Barbara Stanwyck and Dennis Morgan take a tea break while filming CHRISTMAS IN CONNECTICUT (1945). 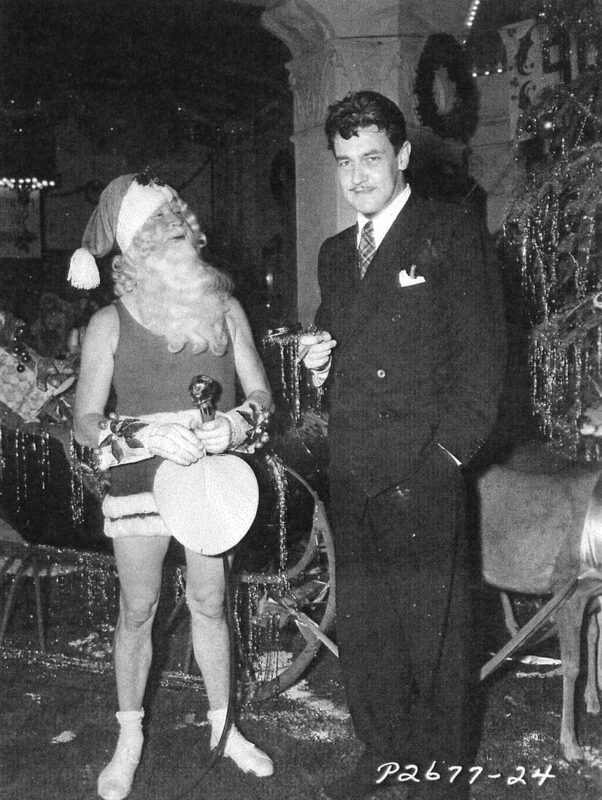 Director Preston Sturges with … um … we actually have no idea but couldn’t resist. 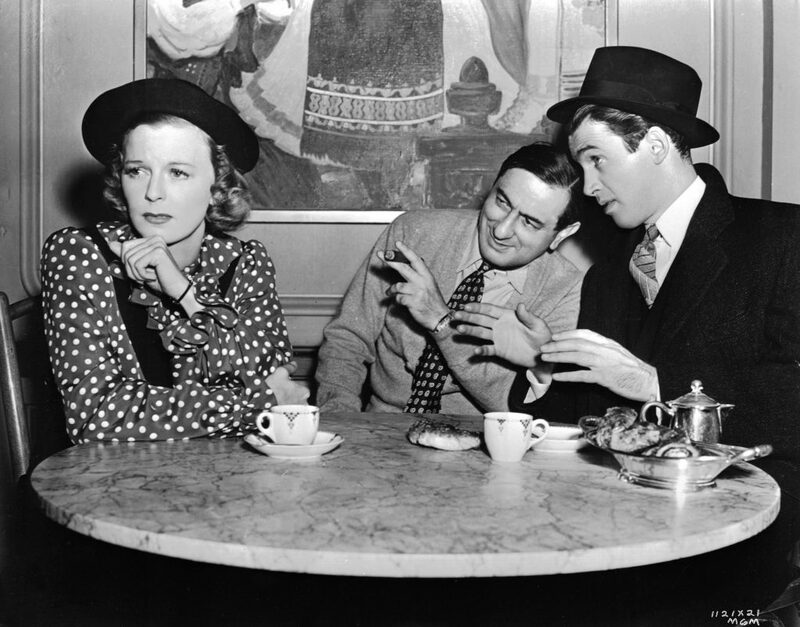 Ernst Lubitsch confers with Jimmy Stewart while Margaret Sullivan looks on during the filming of THE SHOP AROUND THE CORNER (1940). 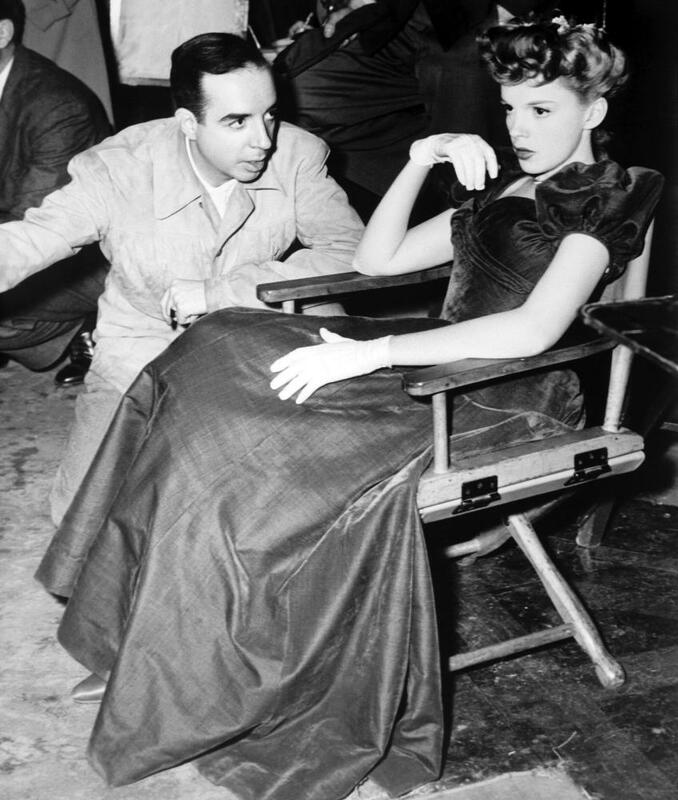 Vincente Minnelli with his star, and future wife, Judy Garland during the “Have Yourself a Merry Little Christmas” scene in MEET ME IN ST. LOUIS (1944). 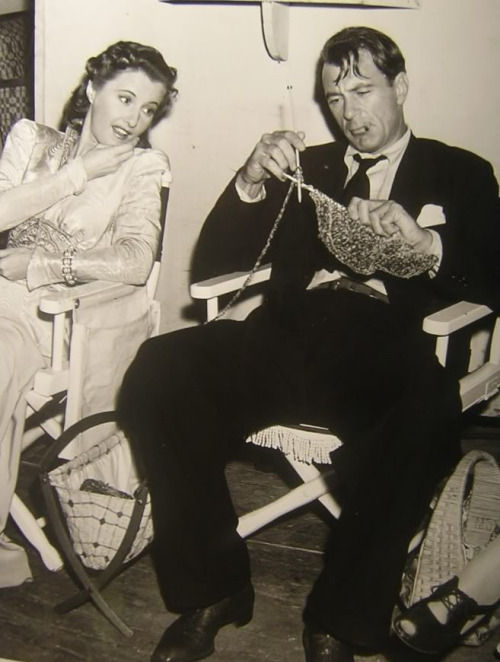 Barbara Stanwyck admiring Gary Cooper’s horrible knitting skills during the filming of Frank Capra’s MEET JOHN DOE (1941). 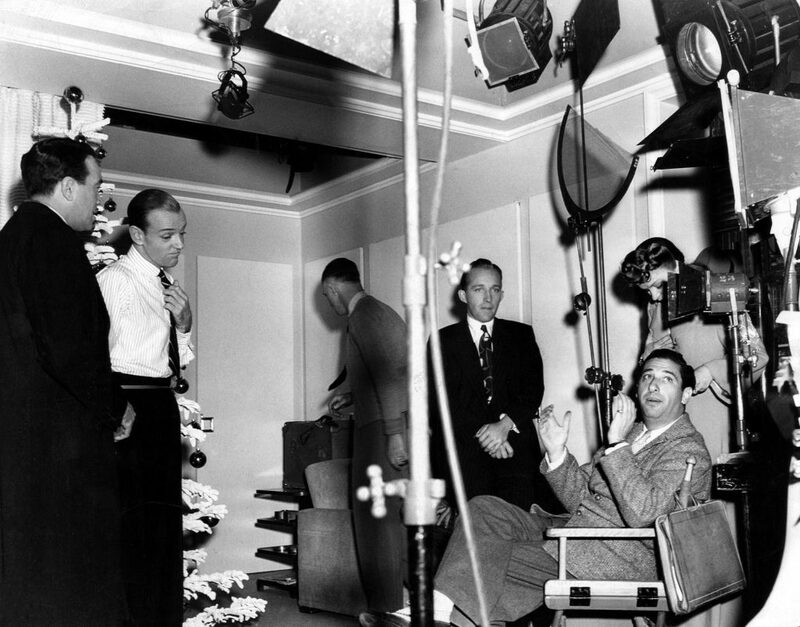 Director Mark Sandrich, seated at right, tries to block a scene while Fred Astaire and Bing Crosby look on during HOLIDAY INN. 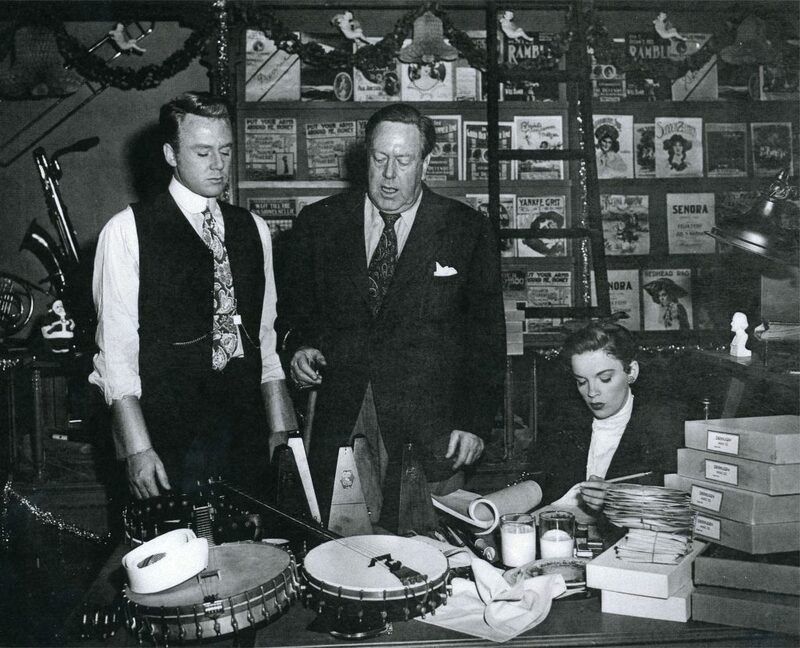 Van Johnson and Judy Garland take direction from Robert Z. Leonard on THE GOOD OLD SUMMERTIME (1949), the musical remake of THE SHOP AROUND THE CORNER.